It’s been a while since I posted here. I have a few projects going on at the same time. I think maybe I should of planned out everything better. Because I wanted to get started the new year all guns blazing I decided to take on some challenges.. I am on the last day of my 90 day vlog challenge that I started and I am still in the middle of a health challenge I started. On top of that I finally started building the martial art website I always wanted to build. Combine that with supporting an online business opportunity that I am a part of mix a family into that and you have a over worked Larry Rivera. That’s okay though, I am feeling good about everything I am doing. I want to take a moment to reflect on the past 19 years of my life. It was 19 years ago that I started down a road learning martial arts. In the beginning my idea was that I would teach kung fu. Sounded like a great idea at the time. Once I got started in the industry I started seeing how difficult it was to teach martial arts. 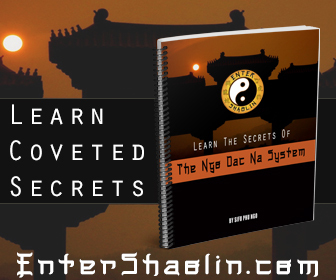 The main reason is because deciding to learn martial arts is a luxury and like all luxuries if you don’t have the money for it, you can’t do it. The economy hasn’t been that great for many people. I started learning how to market on the internet in 2002, it has always been a dream of mine to combine the two skills. It feels like everything I have done for the past almost 20 years has brought me to this point in my life. Over the years I have been stumped with what to do with this domain. Some folks would say I should brand myself here and make it more of a professional appearance. I only bought Larry Rivera because it’s my name and as a marketer I was taught that I should own my name.com. The problem though is I have no desire to actually brand myself. I’ve always been a behind the scenes kind of guy. I admit though, I really need to figure something out here as far as web design is concerned. I know I want to keep it a blog. I’ve been through a dozen or so themes over the years and still haven’t found something that I can say I truly love. If you have any ideas what theme I should use I’d love to hear your suggestion. What Content Should I Talk About On Larry Rivera Dot Com? This is a hard one, I still don’t know what to blog about here. Talk about needing some serious direction. I know some people get their name.com and they talk about there business. I like to believe that I am more than just what businesses I am involved with. I mean I am a husband, father, musician, martial artist, amateur videographer, gamer etc. You would think I’d have some kind of wisdom to offer here and maybe I do I just haven’t figured it out yet. I do appreciate you coming to visit me here though. I do wish I had more to offer you and perhaps in the future I will. For now I am just writing here so the search engines don’t forget about me. They like it when you update your webspace. 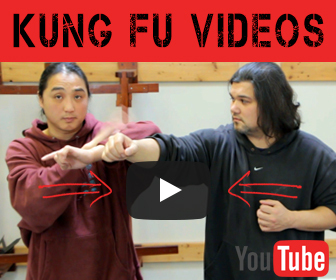 Pingback: Is Wing Chun Broken ?